Some digital cameras can embed the exact date and time when the picture is taken from the photo, a feature that can completely ruin a picture. The Date Stamp feature can be easily turned off, but if you or someone you know took photos that contain the date stamp, you don't have to throw them away. 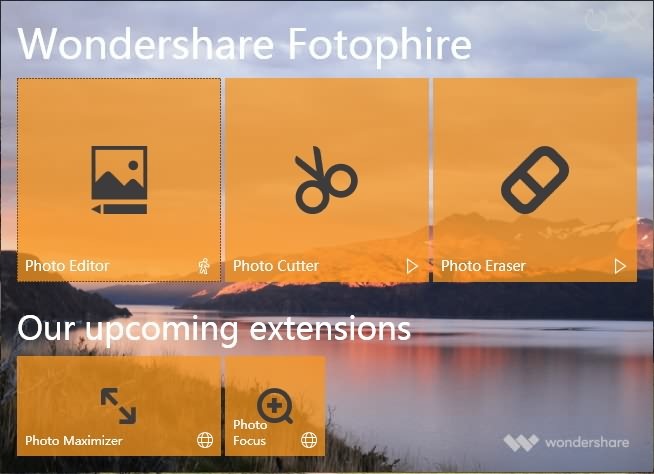 The Fotophire's Photo Eraser module offers tools that will enable you to remove date stamp or anything else from your photos. Launch the software and then click on the Photo Eraser module once the welcome screen appears. Afterward, select the picture that contains the date stamp, and start the process of erasing the elements that spoil your pictures. Normally, you can remove the date stamp with the Erase tool or Clone tool easily. Let’s take a look. Click on the Erase tab in the toolbar located on the right side of the screen, and choose the tool you want to use to remove the date stamp. The Selection Rectangle tool lets you use a geometrical shape to cover the areas that contain unwanted objects, which is the reason why this tool can help you remove date stamp or text from photos in just a few seconds. Alternatively, you can utilize the Selection Brush, but you must make sure that the Brush Size slider is adjusted to the area of the photo you want to cover. Using a too large or a too small brush can result in mistakes that will lower the quality of your photo. Click on the Erase button, after you've made sure that the date stamp or text is properly selected and the software will erase the elements you've marked. The Clone tab is located directly under the Erase tab, so if you'd like to use this method to remove the date stamp from a photo you'll first need to adjust the size of a source point and the size of the brush you'll be using to clone pixels. The size of the source point determines how large the area from which you are copying pixels is going to be, while the brush size defines the size of the area to which you are copying pixels. These values vary for each segment of the photo; hence adjusting them largely depends on the photo you're editing. The Aligned button places the Source Point and the Brush directly above one another, so you can switch it off if you want to clone pixels freely. Hold the Alt key and click on the area from which you want to clone the pixels and then drag the cursor over the date stamp or text. Use the Pan and Zoom tool to zoom in on the area of the photo you are editing if you want to have more precision. Date stamps are often located near the edges of a photo, so you can also use the Crop tool as well to remove them. However, cropping a photo will also remove a part of the shot, which means that you shouldn't use this method of date stamp removal if the crop also removes figures and objects you want to keep in your shot. Note: After Removing the date stamps from the photos, your photos seems to be more clear . 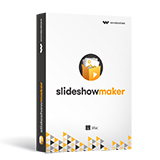 Now if you want to put all your finished photos into live slideshow , then you could have a try of Wondershare's another new product Fotophire Slideshow Maker. It could bring you unexpected surprise . This amzing tool could provide you with dozens of templates so that you could keep your memory forever. Curious? Just come to have a try of it , more surprise is coming !